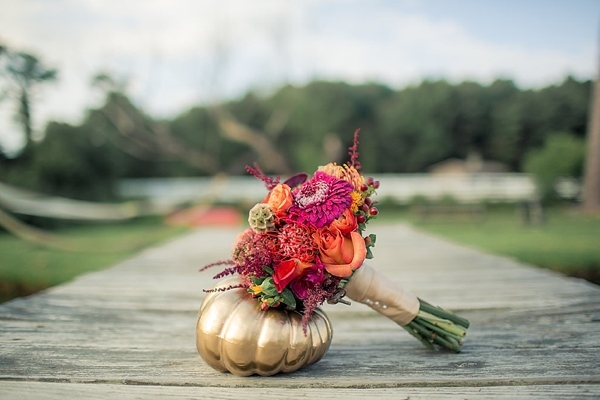 Affectionately called Kiss or Treat, this autumnal-inspired wedding hits all the right seasonal spots! 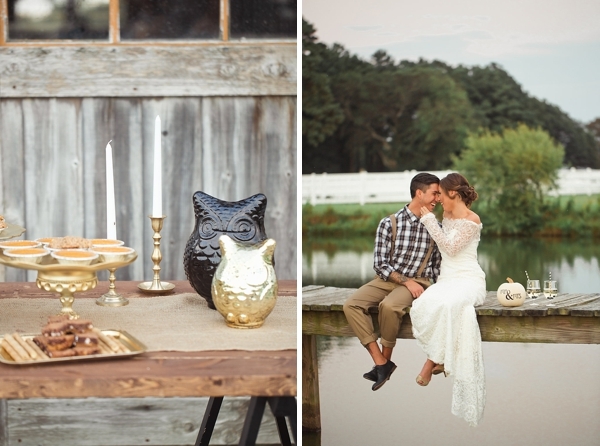 Halloween, pumpkins, barns, and sweets, this exclusive Tidewater and Tulle shoot designed by Melissa of Styled Decor and captured by Tianna of T.Y. 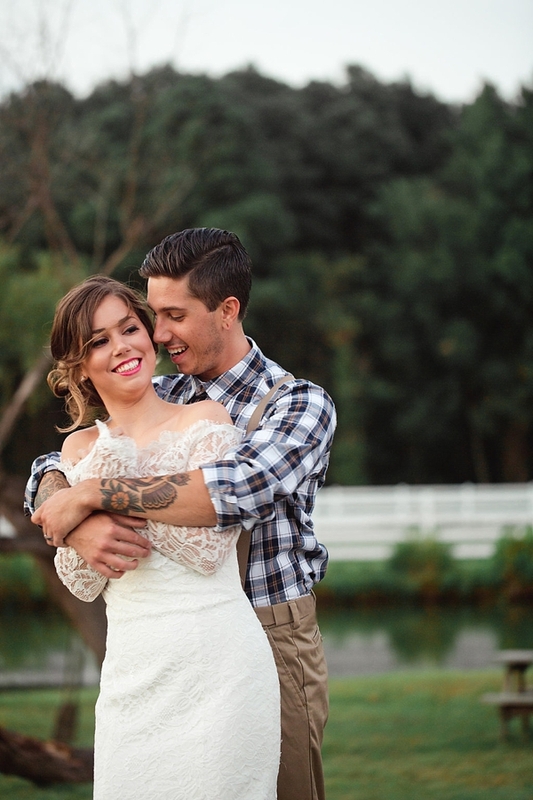 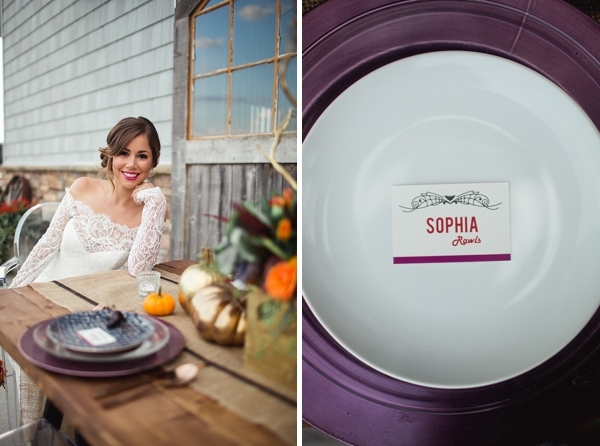 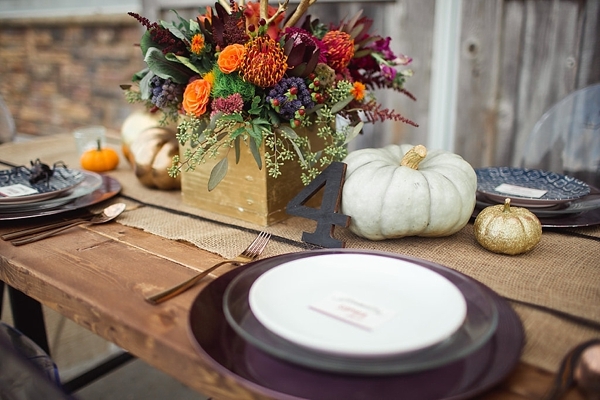 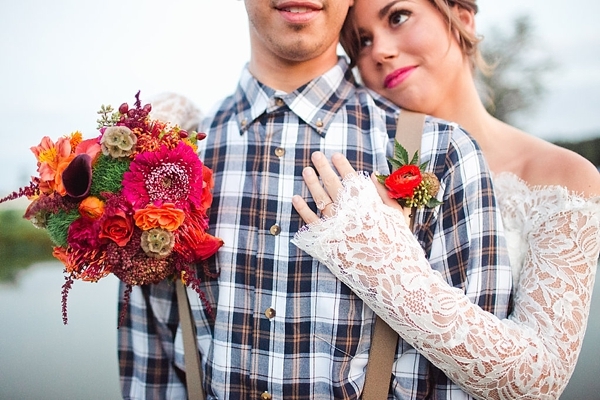 Photography is perfect for the festive and fall-loving couple. 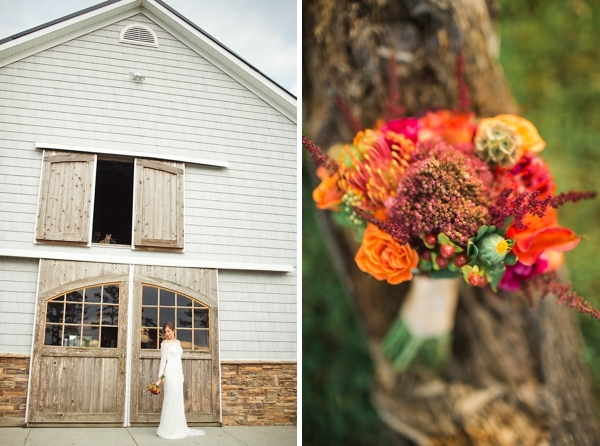 Their color palette inspiration grew from the most beautiful part of fall: the changing of the leaves. 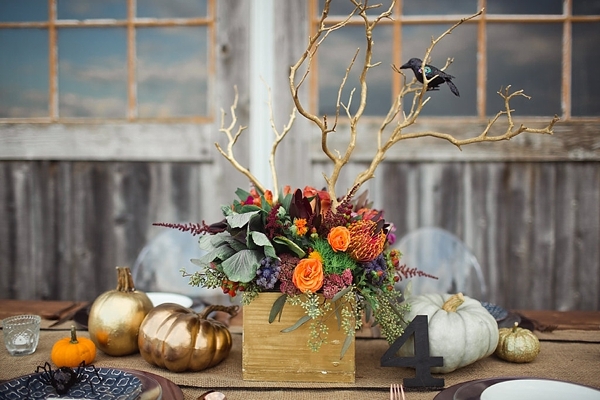 Focusing on the deep reds, vibrant purples, and blood-oranges, they wanted to show that Halloween doesn't have to be all ghosts and goblins. 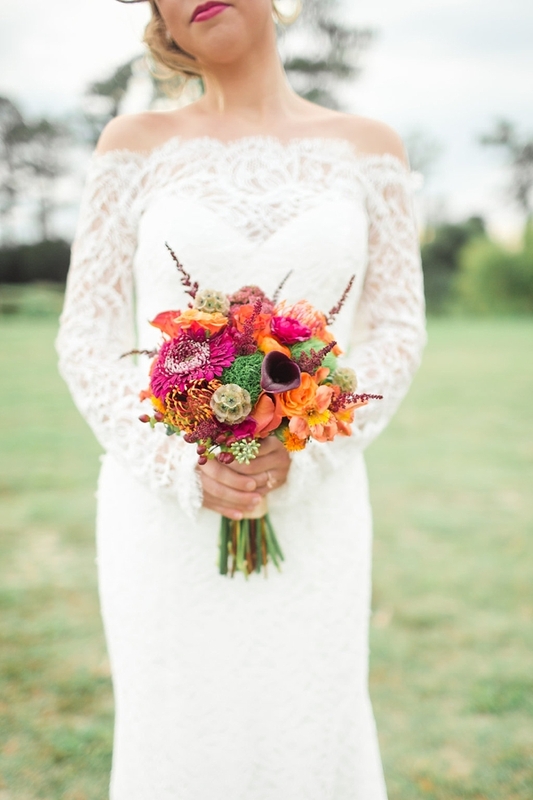 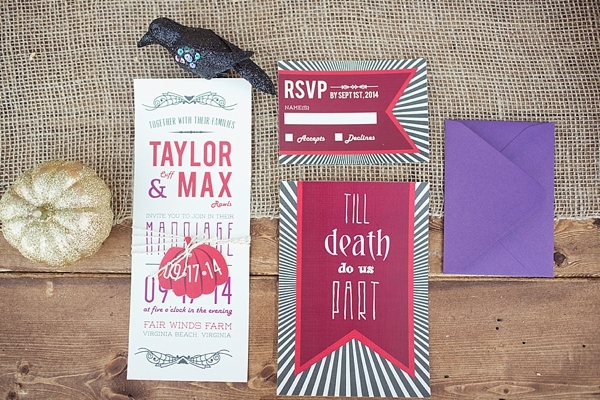 Through jewel-toned florals by Leslie Hartig Floral Design, a gorgeous lace-sleeved wedding gown from Maya Couture, the copper flatware, and the eclectically fun stationery by PaperDolls Design, it makes you channel all things cozy "fall-o-glam." 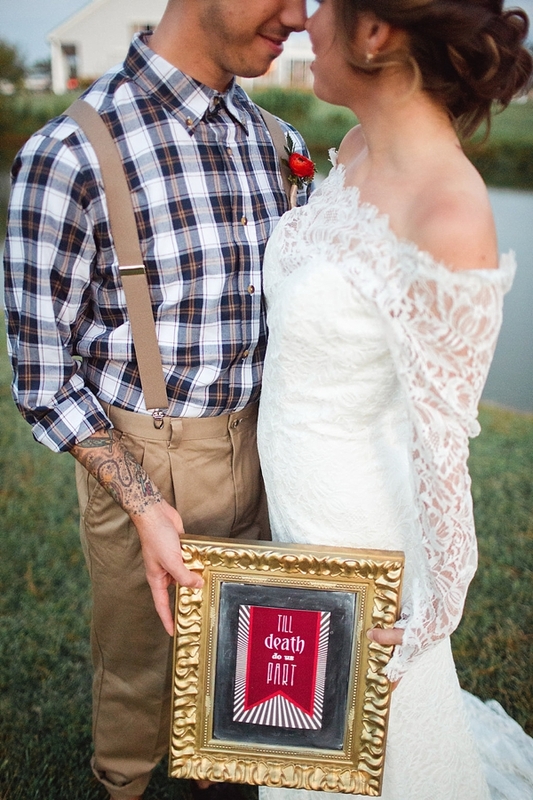 in the Tidewater and Tulle Vendor Fam.